It is with great delight that we announce two new additions to the Autostadt.ie moderator/admin team. From the Wild Wesht, please welcome Darren (DarrenJ) and Liam (L14M). 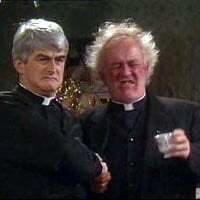 These two gentlemen have been very proactive over the last year organising the Galway meets, which have been a great success, and that’s the sort of activity we like to see in the Community, so we are delighted that they have accepted the offer to become part of the team. There’s plenty more ideas and plans afoot also, so the Wesht will be a place to watch in 2018! No better men for the job! As Ro said, we have an event or two in the planning stages at the moment and hope to get them finalized soon. The West is awake! Which one is Liam and which one is Darren? Ha! Now that's a question for Father Doogle! !